Gionee has finally launched there first ever 4G enabled smartphone in India called the Gionee CTRL V6L. The news CTRL V6-L comes with some robust specification and has very slim and sleek look. The V6 4G LTE is just 6.9mm thick and runs on Android 4.4 kitkat OS. It would compete with Xolo LT900 which was launched back in Q1 this year. 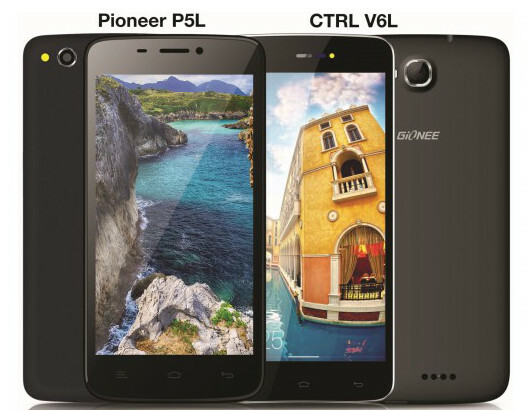 Company has also launched one 4G enabled smartphone in Pionner series, the Gionee Pionner P5L. The new Gionee CTRL V6 L is accomplished with 5 inch HD display having resolution of 1280 x 720 pixels. It draws the power from 1.2GHz 4-core Snapdragon processor coupled with Adreno 305 GPU. It is dual SIM smartphone and is powered by 2000mAh battery. It packs with 8-megapixel primary shooter and a front 5MP camera for selfies. Talking about the storage the CTRL V6L has 8Gigs of internal storage plus expansion slot and 1 gigs of RAM. The CTRL V6L comes in Black color and is priced at Rs15000. It would soon go on sale via Flipkart, snapdeal and Amazon.